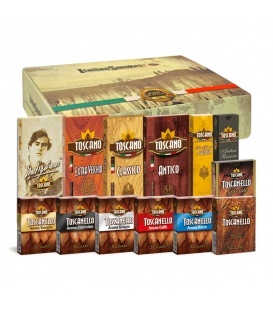 Toscano Sampler offers you the chance to try the complete selection of Toscano and Toscanello cigars. This one-of-a-kind set is packaged in an elegant gift box, it exemplifies all the characteristics that make smoking Italian cigars a truly unique experience. It is now yours at only $155.99 + FREE Shipping! Best Price in The USA! 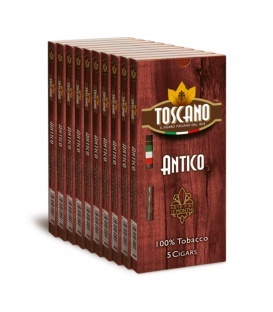 From $12.60 The ultimate cigar for real men, Toscano Antico is a full-bodied cigar with dry, rustic flavors of oak wood, hickory and a tinge of licorice sweetness. Who can forget Clint Eastwood's portray of 'The Man With No Name' with his cigar standing in Homeric grandeur. Now available in pack of 50 cigars. Best Price in the USA! From $7.80 An innovation that marries the flavors of Kentucky tobacco and Italy's most prized liquor, Toscanello Grappa is crafted with a selected blend of Italian, South American and Far East Kentucky infused with distilled Grappa. This invigorating smoke is smooth with slight sweetness. Now available in pack of 50 cigars. 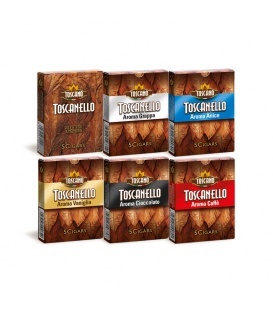 Toscano Classic Sampler contains 3 mouthwatering blends that made Toscano one of the legendary brand names in the cigar industry. 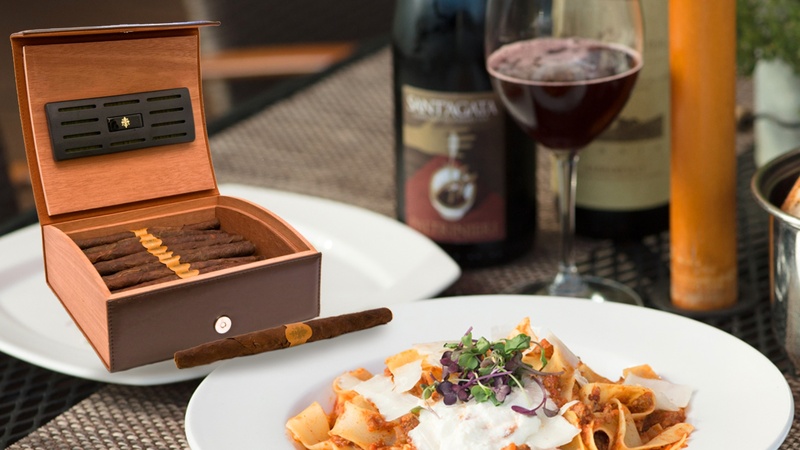 You get the handcrafted Toscano Originale, one of the classic blends that put Toscano on the map; the luxurious, silky smooth Toscano Antica Riserva; and lastly, the bold and creamy Toscano Anno Domini 1492. 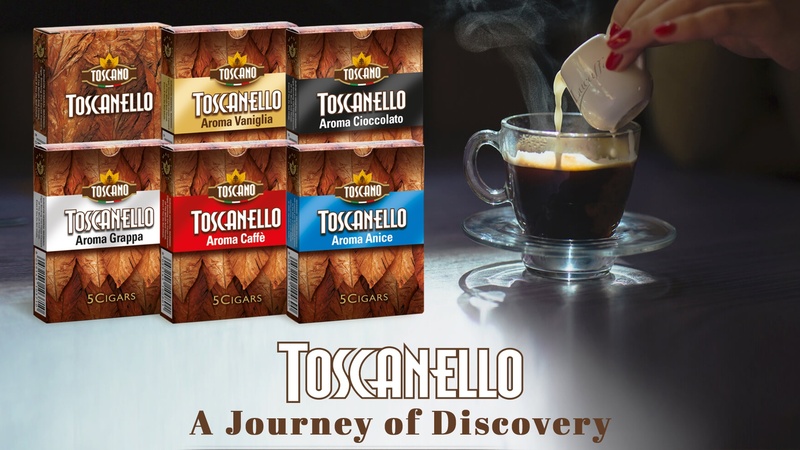 Here is your chance to sample the entire selection of Toscanello Aroma, from Toscanello Grappa through Toscanello Anice, Toscanello Vaniglia, Toscanello Cioccolato, and Toscanello Caffe (our all-time best seller!) The perfect closure to this journey is Toscanello that represents the very classic taste of the Toscanello family. 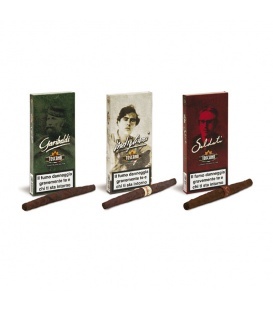 Toscano d'Autore Sampler represents a perfect mix of flavors for appreciating the Italian way to cigars. 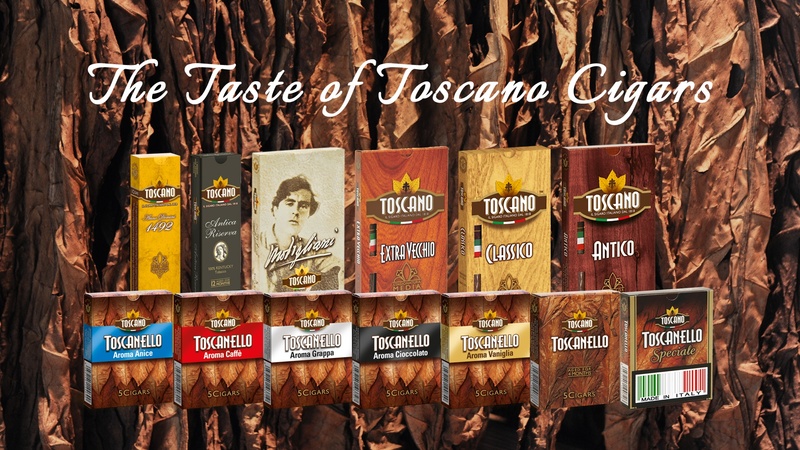 Toscano Garibaldi will immediately introduce you to the unique style of the crisp Toscano cigar, a dark smoked Toscano Modigliani will highlight the taste of Tuscany, and a pure Toscano Soldati will leave you a gentle yet complex fragrance. Best Price in The USA! 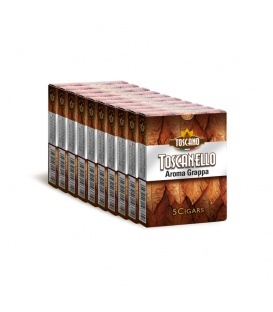 From $12.60 Toscano Antico is the ultimate cigar for tough people. This rustic cigar is the co-star of Clint Eastwood in his famed Spaghetti Western movies directed by Sergio Leone. A mix of the best Italian and American Kentucky tobaccos, aged 12 months, gives it bold and spicy flavors of pepper, hickory, and oak wood. Best Price in the USA! From $10.40 A true Italian cigar: Toscano Classico is unmistakable thanks to the classic burnished color of Kentucky tobacco grown in Tuscany. This is one of the most iconic cigars and has been subjected to numerous imitations. Its savory smoke is slightly bitter with hints of earth accented with aromatic wood and maple. 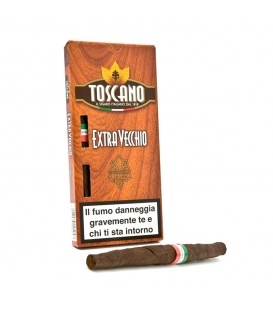 Toscano Antica Riserva is much loved by cigar connoisseurs around the world. With its exclusive blend of Italian and American Kentucky aged for 12 months, this cigar has an infallible draw and uniform burn rate. Often compared to a fine brandy, it is enjoyably full-bodied with exciting flavor profile of smokey campfire, dried fruit and nuts. 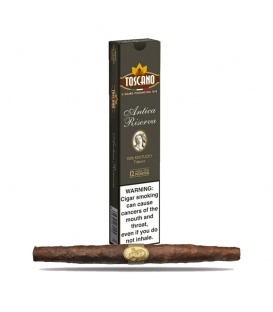 Made of 100% Italian Kentucky tobacco, Toscano Extravecchio offers a balanced blend bursting with characteristics of savory herbs and tangy spices carried by an earthy undertone. The double fermentation process gives it a rounded and pleasant flavor. Highly acclaimed by cigar aficionados, this aromatic and exciting cigar is ideal for any occasion. 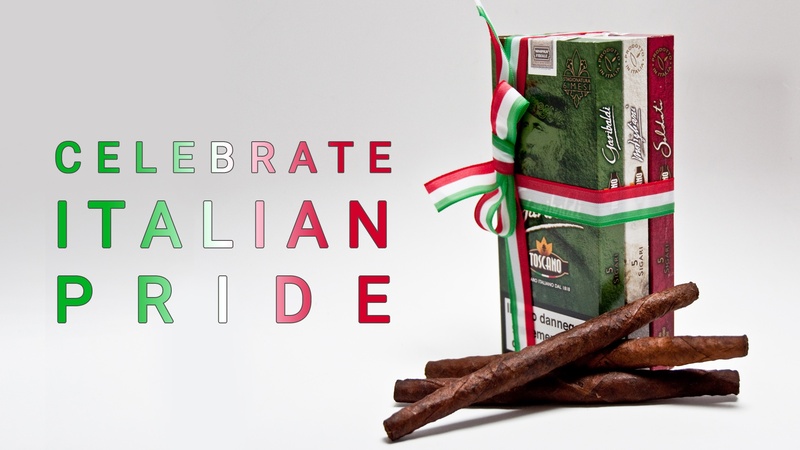 Experience one of Italy's best-kept secrets: genuine Italian premium cigars. Enjoy classic traditional cheroots made in Italy with pure fermented flame-cured Kentucky tobacco: Ambasciator Italico, Sigaro Toscano, Toscanello, and Mastro Tornabuoni. 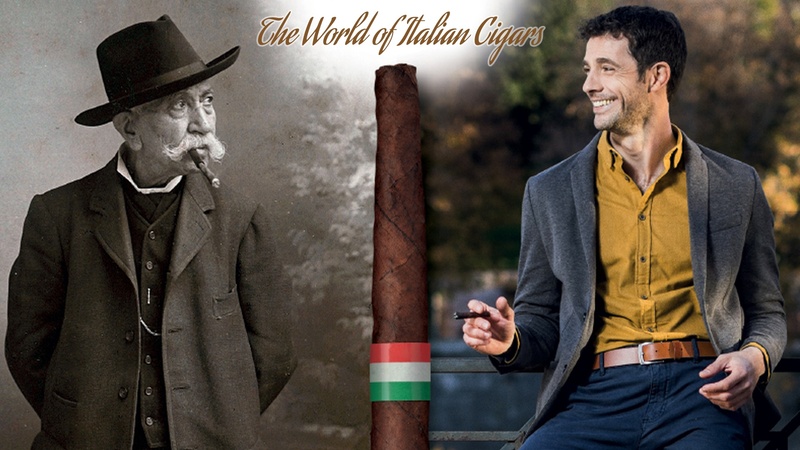 Explore new Italian brands and international Italian-style cigars: premium hand-rolled full-bodied: Amazon Cigars; mellow air-cured: Nostrano del Brenta; popular favorites: CAO Italia. Showcase your style or give memorable gifts with luxury smoking accessories. Cigar Cases and Travel Humidors: Giorgio Fedon 1919, Pelletterie Fiorentine. Hand-made Italian Cigar Cutters and Knives: Coltellerie Saladini, Coltellerie Maserin. Join ItalianSmokes Club for exclusive discounts, free shipping, unique products, and rewards. ItalianSmokes.com does not sell tobacco products to anyone under the age of 21. We only sell premium large cigars, and do not sell small cigars, cigarillos, cigarettes, pipes, vapes, or other kinds of tobacco products. Our premium cigars are to be enjoyed responsibly and only by adults (anyone above the age of 21). We verify the age of all customers prior to the first purchase of tobacco products. 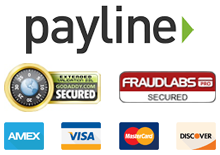 If you are not of legal age, please do not enter our website.